A month after delivering a 13-pound, 12-ounce baby girl, Pennsylvania mom Michelle Cessna is reveling in the healthy arrival of her “little blessing” while also scrambling to re-stock her diaper supply. “We had to exchange all our little diapers for bigger ones,” Cessna, 37, says with a laugh. And baby Addyson shot right past newborn clothes and left the hospital dressed in an outfit meant for a 3-month-old. Addyson Cessna joins a small but growing club of giant babies making headlines. So far this summer, a German baby girl weighed in at nearly 13 and a half pounds; a California woman had a 13-pound, 10-ounce girl; and just last week, a British mom in Spain gave birth to a 13-pound, 11-ounce daughter. And back in March, a British mom gave birth — naturally — to a 15-pound, 7-ounce son. All these whopping newborns are starting to leave moms-to-be a tad nervous — and some doctors concerned. For many moms around the world, the risk of having a big baby has increased along with rising rates of obesity, and the higher rates of gestational diabetes that come with delaying childbearing. 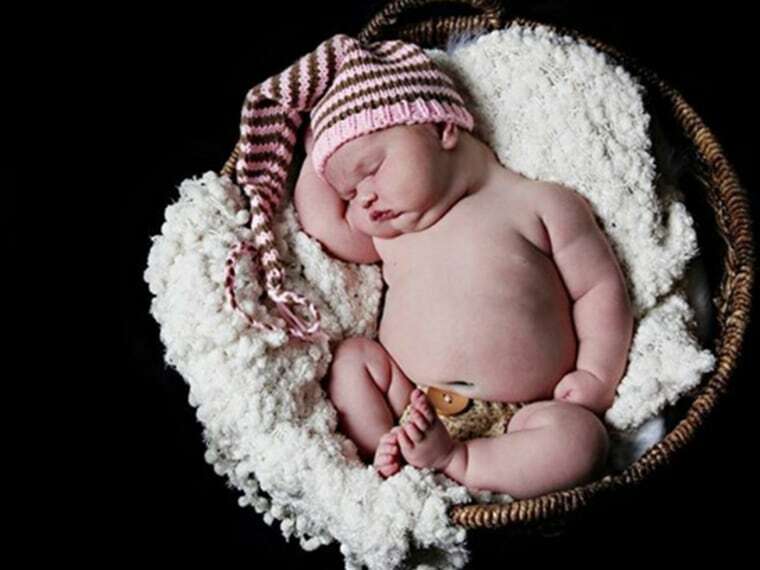 And while everyone loves a chubby newborn, a baby who is too large at birth can face a constellation of health issues ranging from a difficult birth to an increased risk of obesity later in life. Overall, there’s been a 15 percent to 25 percent increase in babies weighing 8 pounds, 13 ounces or more (or 4,000 grams, the weight where a baby is considered oversized) in the past two to three decades in developed countries, according to a February report in the medical journal The Lancet.. Most surprisingly, the developing world has also started seeing an increase in big babies. The Lancet study found that nearly 15 percent of babies born in Algeria — where maternal obesity is almost 30 percent — fit that category. In China, which has been coping with rapidly rising obesity rates, 6.9 percent were big. By comparison, in India, where maternal obesity is only 3.6 percent, a scant 0.5 percent of newborns were very large. In the U.S., where maternal obesity has been an issue for longer, doctors have become more aggressive, intervening before babies get eye-poppingly large. Those efforts seemed to have flipped the big baby trend around and the average birth weight has actually started to decline. Rates of C-sections climbed from 20 percent in 1996 to 31 percent in 2009 and labor inductions are also on the rise, according to the Centers for Disease Control and Prevention. That’s partly due to the dangers associated with preeclampsia and other blood pressure problems sparked by pregnancy in obese women. It’s also partly due to the rise in the number of large-for-gestation fetuses. “In the past, say the ‘80s, women often weren’t considered for induction unless they didn’t go into labor on their own by 41 to 43 weeks. Now it’s between 39 and 41. So babies don’t have a chance to get bigger in those later gestational weeks,” Dr. Robert Barbieri, a professor of obstetrics and gynecology at the Harvard Medical School and chief of obstetrics and gynecology at Harvard’s Brigham and Women’s Hospital. Big babies can pose risk to both the mother and child at birth. They are at risk for shoulder dystocia – which means that the shoulders have grown so big that they can get stuck under the mom’s pubic bone during delivery. Normally the head is the largest part of a baby, but when babies grow so big, the shoulders can become larger than the head. When babies get stuck, they can end up with fractured bones and the moms can end up with trauma and tearing, Barbieri says. Along with the risk of a difficult birth, there is the impact on the health of the babies once they are born, says Dr. Irina Burd, an assistant professor of gynecology and obstetrics and neurology and director of the integrated research center for fetal medicine at Johns Hopkins Medicine. It’s not uncommon for overweight moms to have diabetes or to develop it during pregnancy. And some of the high blood sugar in the mom flows through the placenta to the baby. That, in turn, forces the baby’s pancreas to pump up insulin production, which can leave babies with low blood sugar after they are born, Burd says. Another problem is that sugar acts like a growth factor, and not all the growth is in sync, says Dr. Hyagriv Simhan, chief of maternal fetal medicine and vice chair for obstetrics at Magee-Womens Hospital at the University of Pittsburgh Medical Center. Even more concerning are the effects felt by big babies as they grow up. “So they’re not just obese at delivery, but there are epigenetic changes that program them for the rest of their lives,” Burd says. And those include a heightened risk for obesity and cancer, she says. That’s why doctors have tried to encourage pregnant patients who are obese to gain very little weight during pregnancy. For women who can’t seem to keep their weight down, there may eventually be another solution. An ongoing clinical trial is looking at the impact of a drug that helps keep blood sugar low in pregnant women who are obese. In some cases, such as Michelle Cessna’s new daughter, big babies may just run in the family. She said she had no health issues during her pregnancy and safely delivered Addyson, who measured 25 inches, by C-section at 39 weeks. Her two older sons weighed roughly 10 and 11 pounds when they were born. “She doesn’t look big – for a 3-month old,” Cessna says of her 1-month-old girl.